Since her graduation from the Jette Parker Young Artists Programme in 2011, Estonian mezzo-soprano Kai Rüütel has been engaged at Royal Opera House, Dutch National Opera, Theater an der Wien, Teatro Real, Opera Vlaanderen, Gran Teatre del Liceu, Scottish Opera, Théâtre du Capitole Toulouse, and Dallas Opera. A consummate singer and actress, she has collaborated with directors such as Robert Carsen, Laurent Pelly, Keith Warner and Calixto Beito. 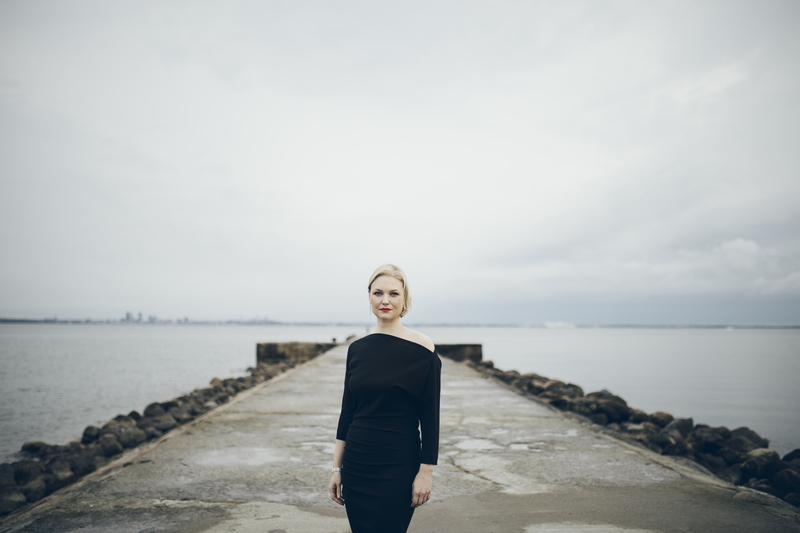 In the 18/19 season Rüütel returns to Theater an der Wien to star alongside Christian Gerhaher in a staged production of Mendelssohn’s Elijah as well as making her highly anticipated home operatic debut in the title role of Carmen at Estonian National Opera. She also returns to Royal Opera House for their Ring Cycle to sing Waltraute Die Walküre. On the concert platform, Rüütel appears at the ‘Stars of Operalia’ gala at the Birgitta Festival, at Gloucester Cathedral performing Elgar’s Dream of Gerontius and in recital with Roger Vignoles at Oxford Lieder. Last season’s appearances include Meg Page Falstaff and Blanche The Gambler, both new productions presented by Opera Vlaanderen and Zweite Dame Die Zauberflöte at Theater an der Wien. Other recent engagements include her US operatic debut with Dallas Opera, singing Olga Eugene Onegin, Mary Der fliegende Holländer at Teatro Real; Emilia in new productions of Otello at Royal Opera House, Covent Garden and Opera Vlaanderen; the world premiere of Infinite Now by American-Israeli composer Chaya Czernowin at Opera Vlaanderen; Meg Page Falstaff, Wellgunde Der Ring des Nibelungen; and as Marchesa Malibea Il Viaggio a Reims in a special gala performance all at Royal Opera House Covent Garden; Hänsel Hänsel und Gretel at Scottish Opera, Blanche The Gambler at De Nederlandse Opera, Sonyetka Lady Macbeth from the Mtsensk District at Opera Vlaanderen; Siegrune Die Walküre at Gran Teatre del Liceu; Anina Der Rosenkavalier at Dutch National Opera, Flowermaiden and Esquire Parsifal at Teatro Real Kate Julian Owen Wingrave at Théâtre du Capitole de Toulouse; and Nefertiti in Glass’s Akhnaten at Opera Vlaanderen. Recent concert and recital performances include her Estonian recital debut, accompanied by Roger Vignoles, her US debut with the St Louis Symphony Orchestra singing Mozart’s Requiem; an opera gala concert with Simon O’Neill at the Mumbai National Center of Performing Arts; Das Lied von der Erde with the Tallinn Chamber Orchestra; a hugely acclaimed debut performance of Elgar’s Dream of Gerontius for The Three Choirs Festival; Beethoven’s Symphony No.9 with the Residentie Orchestra of the Netherlands; Mahler Rückert Lieder at the Cadogan Hall; Beethoven Mass in C with City of Birmingham Symphony and Philharmonia orchestras; Zemlinsky’s Sechs Gasange at Philharmonie Berlin; and gala concerts in Latvia, the Czech Republic and with the RTE Orchestra and John Wilson. Rüütel studied at the Georg Ots Music School in Tallinn and then at the Koninklijk Conservatorium in The Hague and the Dutch National Opera Academy. In 2009 Rüütel became a member of the prestigious Jette Parker Young Artists Programme at the Royal Opera House, Covent Garden, making her debut as Venerable Lady in The Gambler and covering the role of Blanche. Her roles for the company included Hänsel Hänsel und Gretel, Rosette Manon and Flora La traviata (also performed on tour in Japan), Second Lady Die Zauberflöte conducted by Sir Colin Davis, and Dorothée Cendrillon. She covered Madame Dangeville Adriana Lecouvreur, Charlotte Werther and Dunyasha The Tsar’s Bride. Her English was flawless; her voice sounded absolutely gorgeous; she sang with excellent feeling but with a complete absence of histrionics – she simply stood and delivered; and although she carried a score she barely glanced at it, singing directly to her audience with whom she maintained a compelling eye-contact. Throughout her performance she exhibited a marvellous sense of line and her voice was produced not only evenly throughout its compass but also seemingly without effort. Time and again there was a lovely warmth to her singing […]I hope to hear her again in this role to which, I think, she is ideally suited.